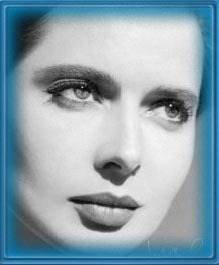 I've long been a fan of these two ladies, Ingrid Bergman and Isabella Rossellini. The fact that they are mother and daughter only adds to their allure - so much talent and beauty in one family! 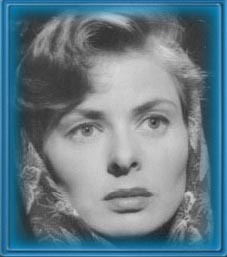 While both women are uniquely fascinating and are appreciated as individual personalities, they also have many similarites (not the least of which is their many shared fans) so I thought why not celebrate them both in one handy-dandy site. Enjoy! Photos and content scanned and written by webmaster unless otherwise noted. Full credit is given to all other sources. I do not want to infringe on anyone's copyrighted material. If you think there is something in question on this site, please contact me, Michelle, at ingridandisabella@yahoo.com Also, if you wish to use something from this site please ask first and include a link back to Ingrid and Isabella. Thank you.